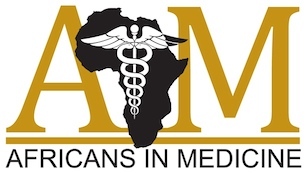 Africans in Medicine is a U.S. based non profit 501 (c) (3) organization that provides a hub for African health professionals and friends of Africa. Our mission is to be a hub for African health professionals by providing our members with numerous opportunities to leverage their expertise for the advancement of the health care field in Africa, and its diaspora. In a spirit of humanity, we build a healthier future for the people of Africa through domestic and international partnerships that expand access to quality medical services, research and education. Repatriation of Services: The idea that all Africans, at home and abroad, should be given the encouragement and opportunity to invest of their time and talent towards the advancement of the medical field in their home countries and across the continent of Africa. Homegrown Development: The creation and dissemination of new medical knowledge and innovations in Africa through basic science, translational and clinical research publications. The recruitment and retention of human resources for health within the continent for the improvement of the study and practice of health care. Collaboration & Mentorship: Access to an online mentorship database of African healthcare professionals and students worldwide for the promotion of collaboration and mentorship relationships that will enable the exponential advancement of medicine in Africa and increase the continent’s contribution to the overall field of medicine. Sustainability: The insistence upon longevity and self-perpetuation in our projects in order to increase the permanent local availability of general and specialized services in the host communities. Standard of Practice: The dedication to world class medical service through careful adherence to internationally accepted standards of care while catering specific project details to the local setting in which they will be implemented. Eminence: The creation and promotion of a culture of excellence in and around our projects, which will ultimately govern the behaviour of our members and influence our choice of partner organizations. Copyright © 2019 Africans in Medicine. All rights reserved.